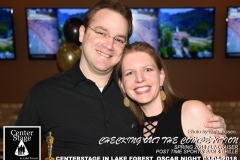 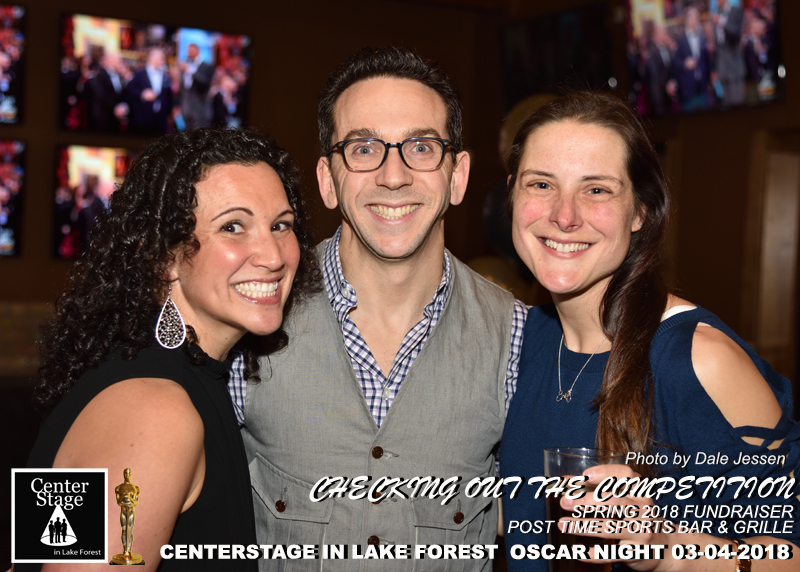 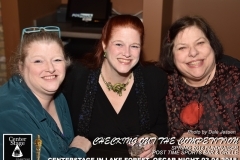 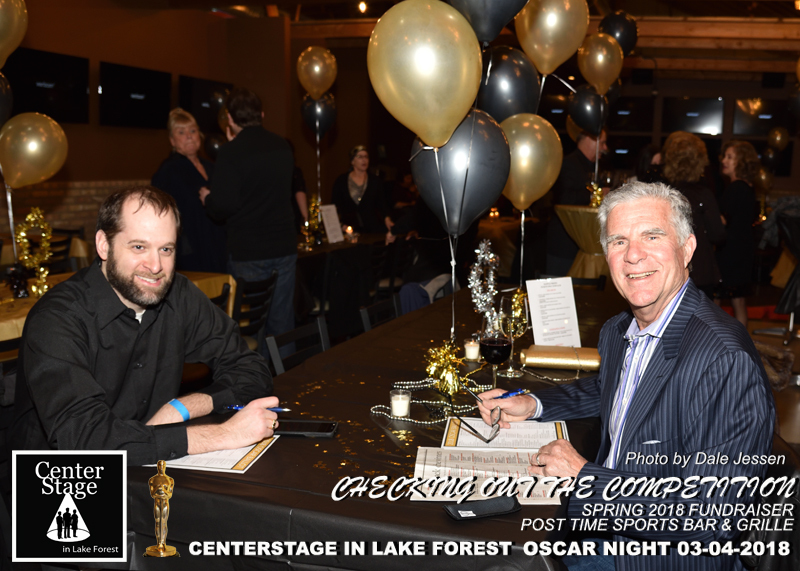 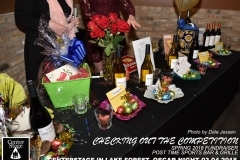 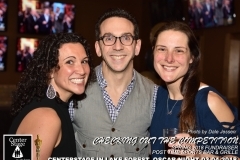 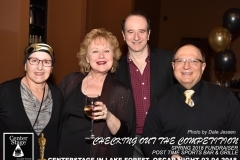 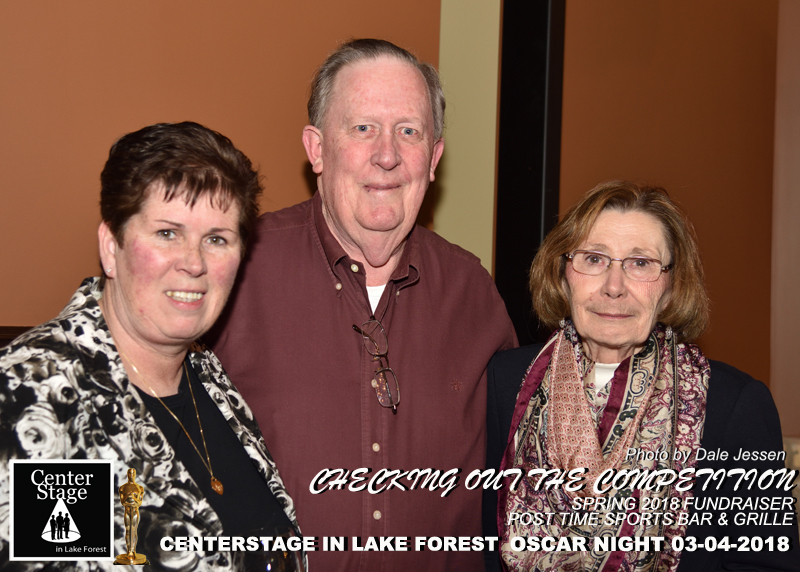 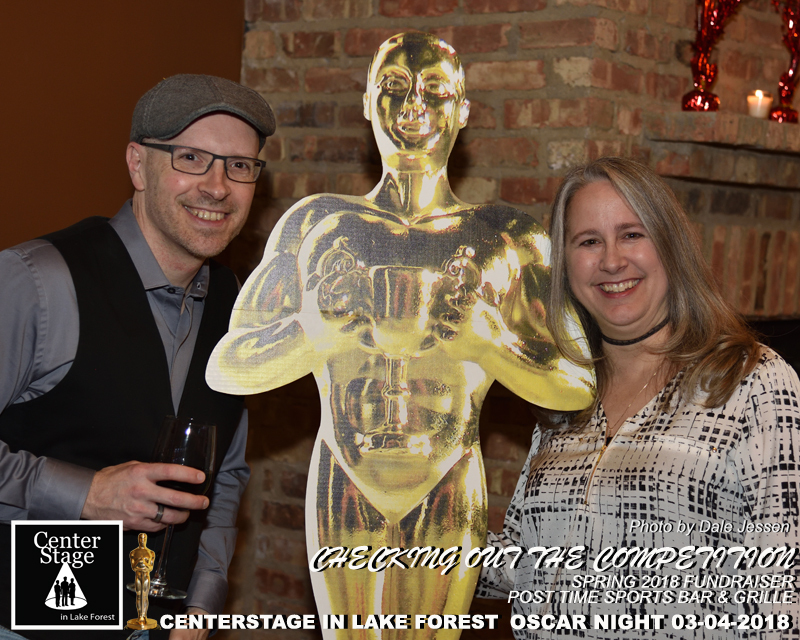 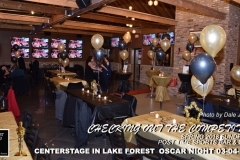 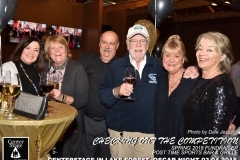 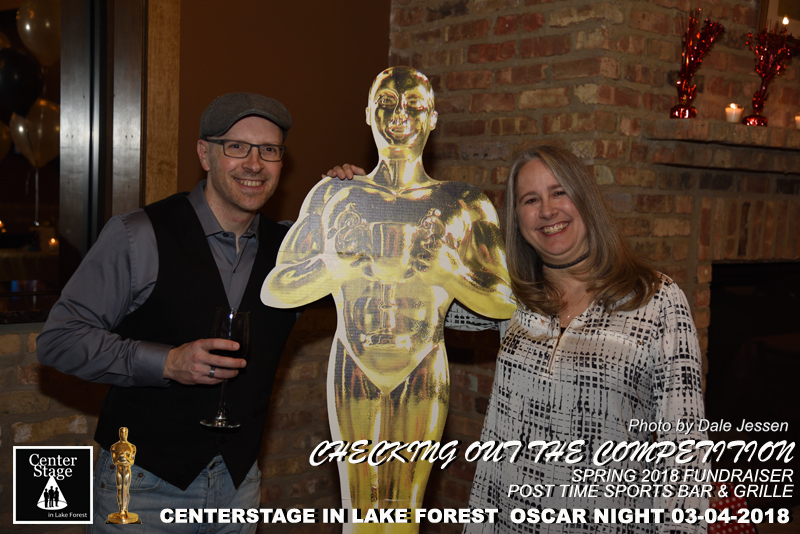 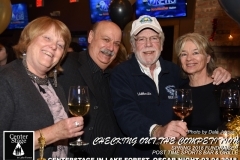 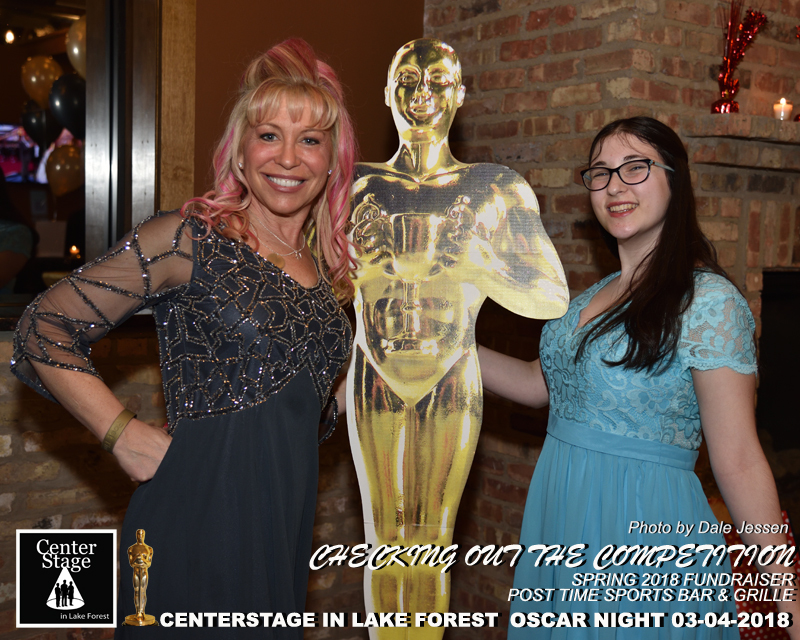 More than 100 CenterStage in Lake Forest supporters appear for Oscar Night! 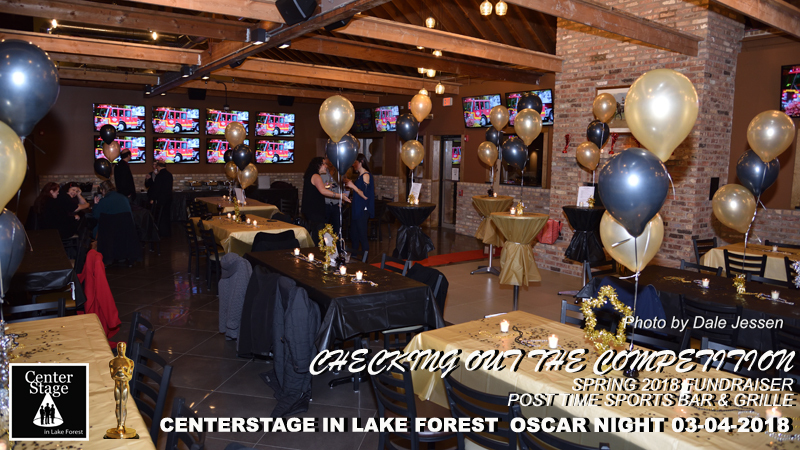 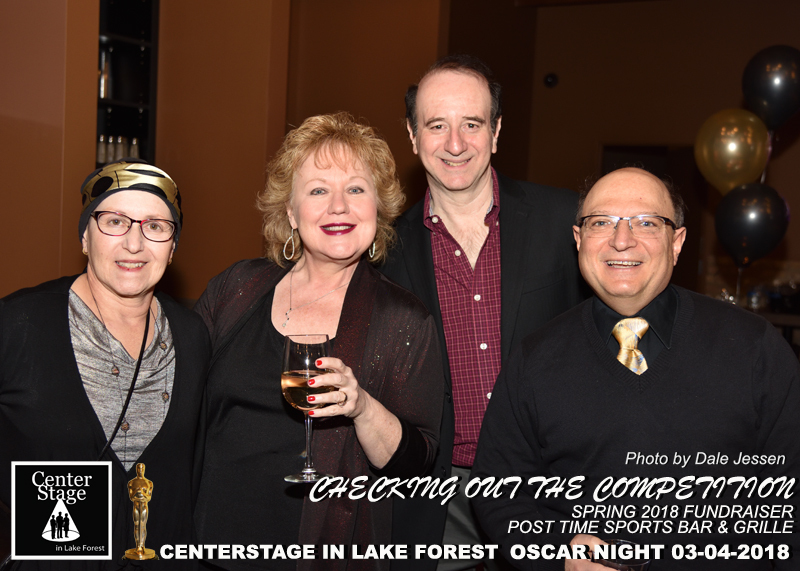 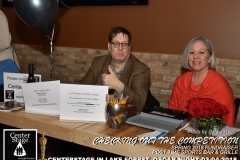 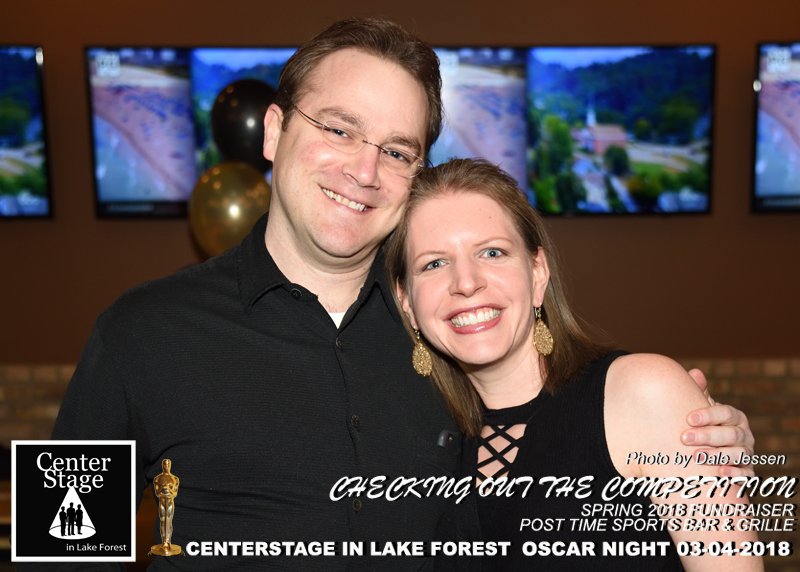 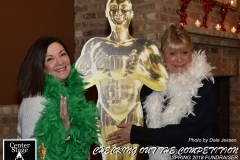 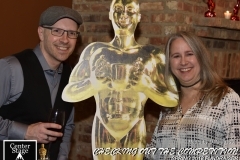 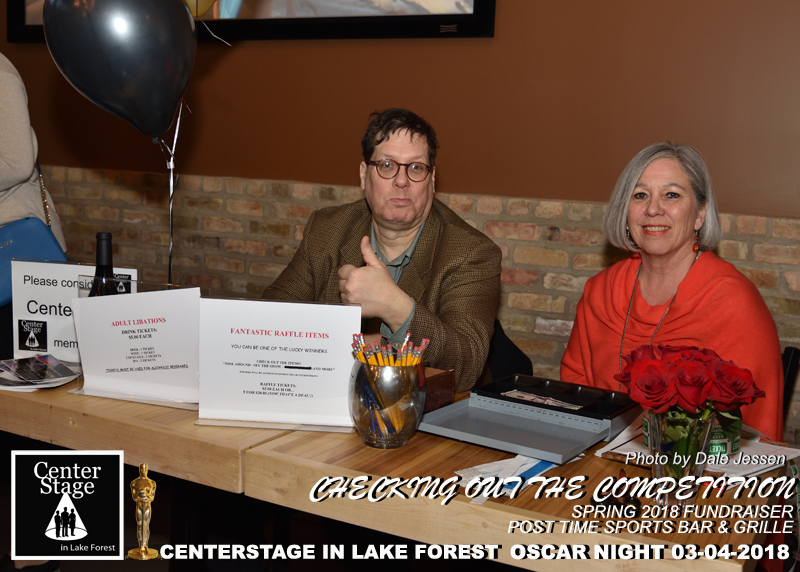 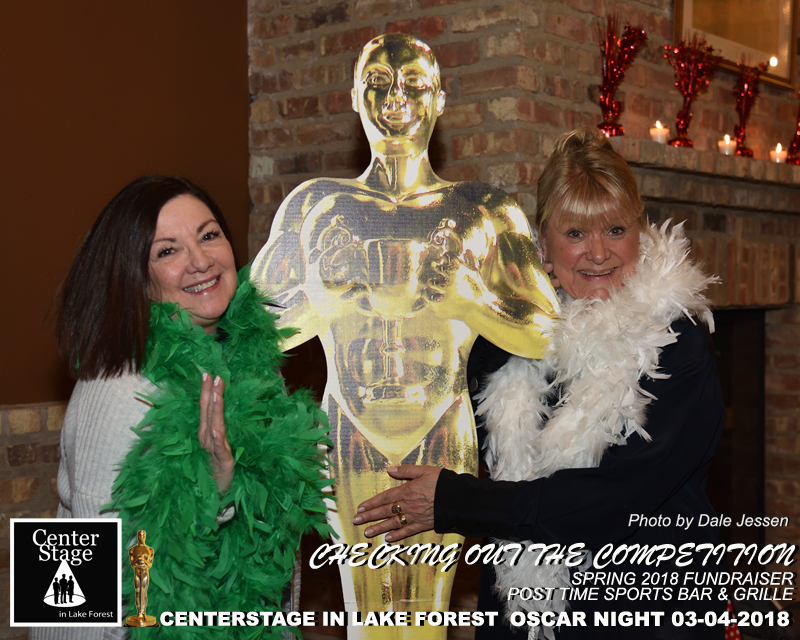 In enthusiastic anticipation of our 47th Season, a great turnout of party revelers came to the Post House Bar and Grille for our Oscar Night Fundraiser, “Checking Out the Competition”. 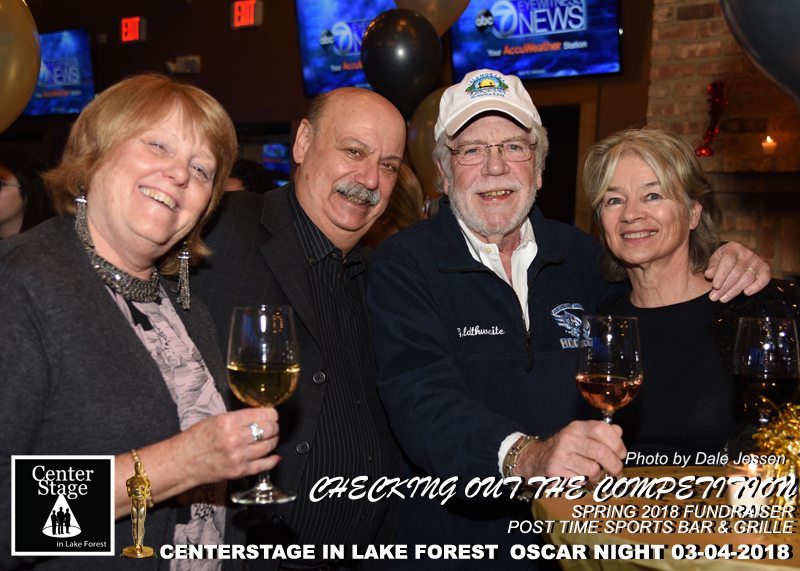 CenterStage past, present and future folk met to share wine, a wonderful dinner and swap the usual theatre stories – tales of backstage and onstage memorable moments and triumphs. 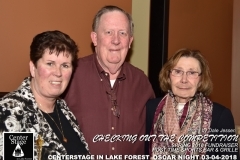 And as always, many thanks to Dale Jessen for his invaluable photos. 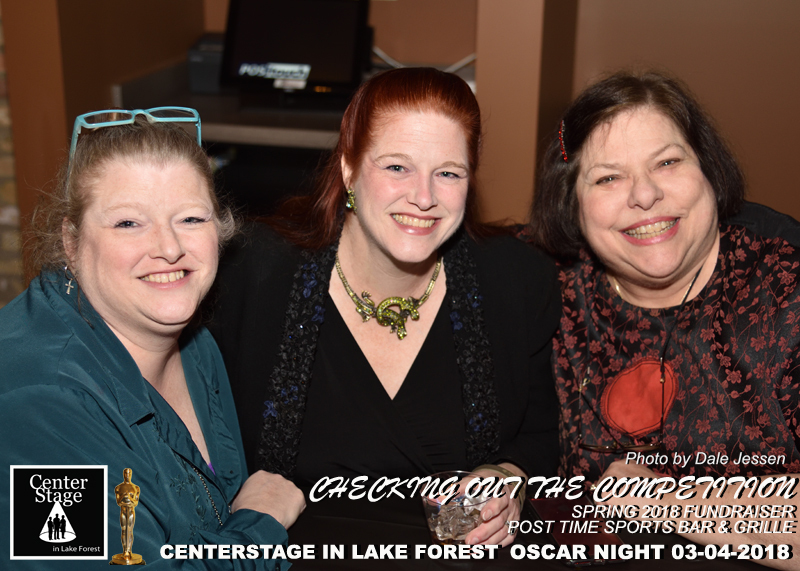 Next Post:Meet the Shrek Production Team!